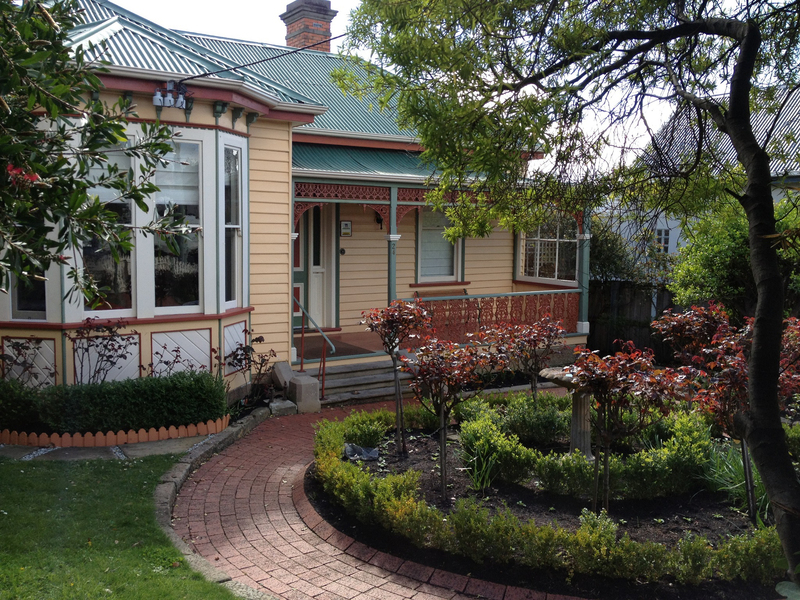 Merre Be’s offers bed and breakfast accommodation in a Victorian cottage in Sandy Bay, Hobart. Sandy Bay is a bayside suburb, five-minutes’ drive from Hobart’s central business district (5 kilometres). Built in 1901 as a family home, Merre Be’s has been transformed into a luxury guesthouse. 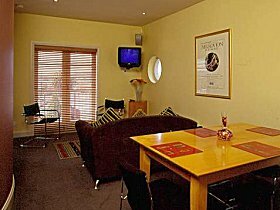 The property has a choice of standard or spa ensuite rooms, all with king-size beds. The rooms are decorated in harmony with the Victorian era, with antique furniture and ornate fireplaces. 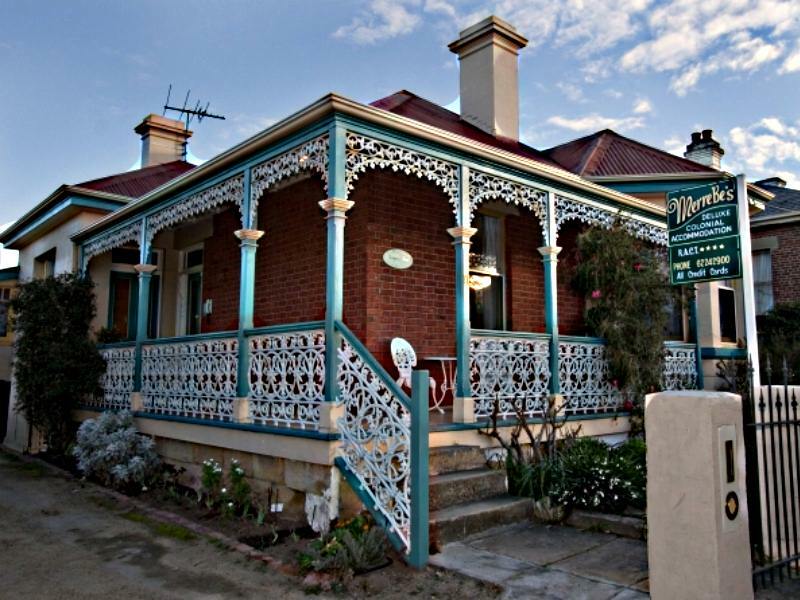 The guest bedrooms lead onto the iron lace-trimmed verandah and there is a guest lounge and sun-filled dining room. A full buffet breakfast, including home-made bread and fresh plunger coffee, is provided each morning. Complimentary port or sherry is also included. 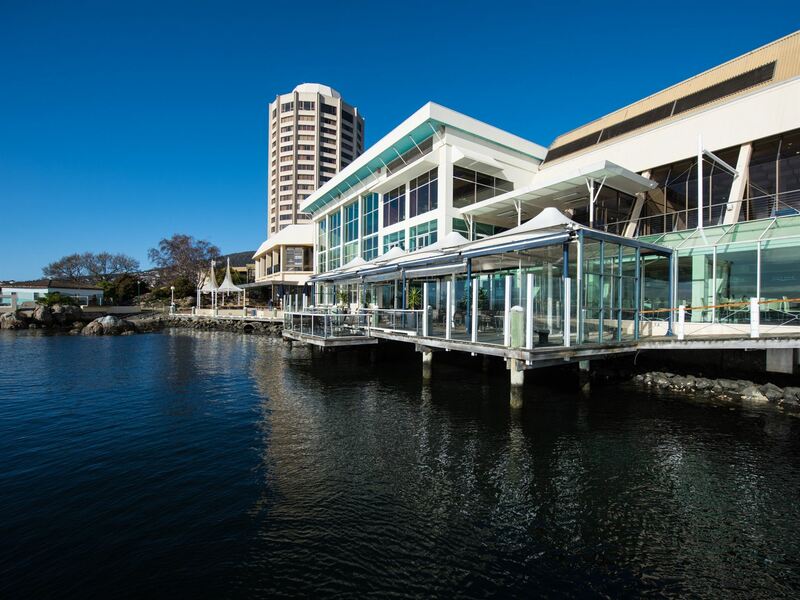 Merre Be’s is close to Sandy Bay restaurants, cafes and shopping and the Wrest Point Casino, beaches and Hobart Yacht Club are a short drive away. You can drive to Salamanca Place and browse through galleries and shops in the colonial-era sandstone warehouses. Visit the Saturday Salamanca Market, stroll along the waterfront, board a cruise or watch the river traffic from a waterfront café. 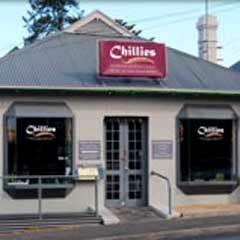 Chillies authentic Indian restaurant in Sandy Bay offers classic Indian fare at good prices.